Born as Matthew Bruce Mantei on the 7th July 1973, in Tampa, Florida USA, and is a former baseball player, who played for the teams of the Major League Baseball (MLB) such as the Florida Marlins, Boston Red Sox and Arizona Diamondbacks. His career was active from 1995 until 2005. Have you ever wondered how rich Matt Mantei is, as of mid- 2016? According to authoritative sources, it has been estimated that Matt Mantei`s net worth is as high as $12 million, an amount acquired through his successful career as a baseball player. Although born in Tampa, Matt attended River Valley high school in Three Oaks, Michigan. 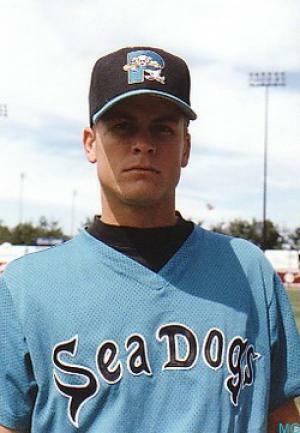 When he turned 18, Matt was selected by the Seattle Mariners in the 25th round of the amateur draft. As normal with most rookies, he spent four years in the minor leagues, before he was brought into the first squad. He made his MLB debut in 1995 playing for the Florida Marlins as a relief pitcher. In his first two seasons he played in only 26 games, due to inexperience, and he missed entirely the 1997 season because of an injury. However, his breakthrough season was 1998, in which he played in 42 games, and had 2.96 ERA. That season he signed a contract extension with the Marlins, however in 1999 he was traded to the Arizona Diamondbacks for Vladimir Núñez, Brad Penny and Abraham Núñez. He stayed in Arizona until 2004, and while there he played his best baseball, so his net worth increased to a large degree, thanks to the contract he signed worth $25 million over five years. In his first season with the Diamondbacks he had 32 saves, however the next two he was troubled by injuries, which kept him sidelined for most of the season. He had an operation on his elbow, and underwent “Tommy John” surgery to repair the damage. In 2002 he tried to come back to the field, however it wasn`t until 2003 that he played a competitive game, and in that season he had 29 saves and 2.62 ERA. In 2004, he had trouble again with his elbow, and missed most of the season, after which his contract expired. In 2005 he signed a contract with the Boston Red Sox, however, after only three games he was placed on the disabled list, and was then waived by the club. The following year he was in the Detroit Tigers training camp, but again felt pain in his elbow, and didn`t come back to baseball until the 2008 season, but that was yet another unsuccessful comeback, as his arm couldn`t recover to 100%, and so he retired in March that year. Matt had quite an arsenal in his hands; his fastballs reached speeds of 95mph to 100mph, and he also threw sharp and slider. Regarding his personal life, Matt is married to Erica, however, there are no details in the media about their family life. 1 Made major league debut on 18 June 1995. 2 Pitcher with the Florida Marlins (1995-1996, 1998-1999[start]), Arizona Diamondbacks (1999[end]-2004), and Boston Red Sox (2005). 3 Last name is pronounced "MAN-tie".